The head, outsides of the parapodia and the foot are dirty white to pale grey with numerous slightly darker spots each surrounded with a pale ring (ocellated) . 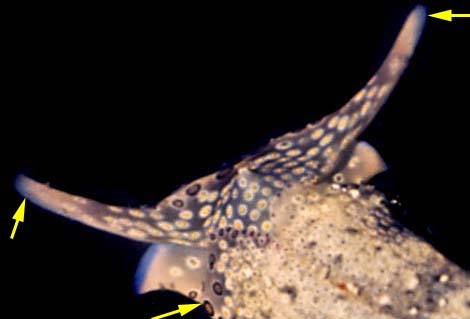 The long and thin rhinophores extend horizontally from the sides of the head. 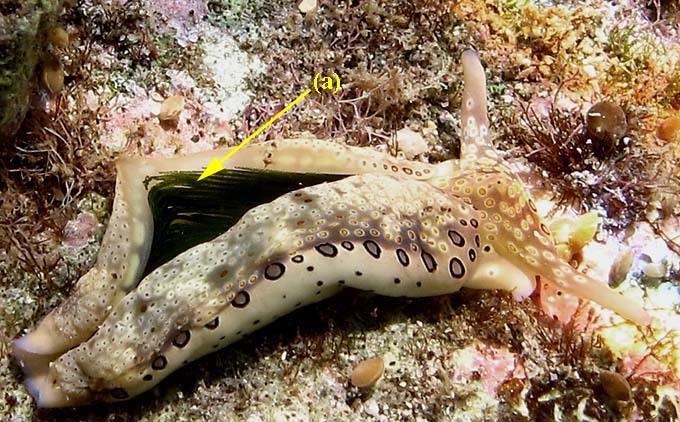 The color pattern and distribution of spots varies considerably, but the internal anatomy shows so few differences that it must be considered one species with a wide distribution. 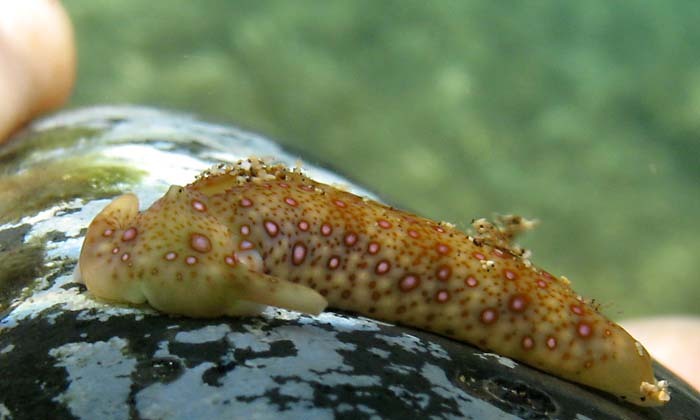 It has a very soft body which is dorso-ventrally flattened. 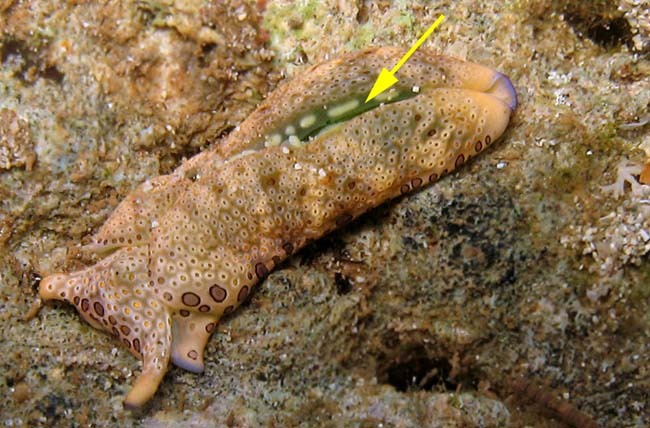 The thin, smooth parapodia, which completely covered the body, meet along the dorsal midline and they can only separated with difficulty. 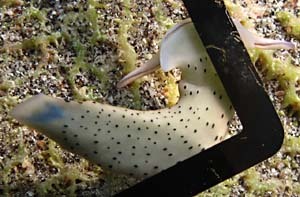 The sacoglossans feed by sucking the cell sap out of algae. 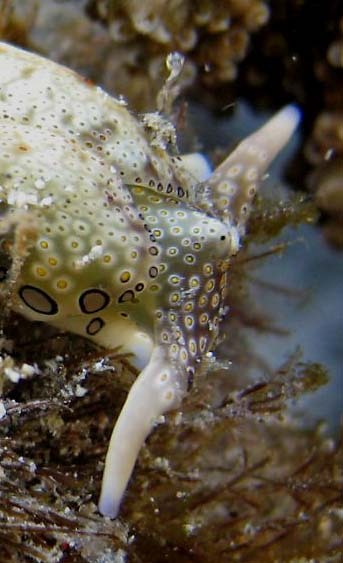 Some, such as P. ocellatus, keep the chloroplasts from the algae alive in their own bodies, where they continue to photosynthesize - converting the sun's energy into sugars. It stores huge numbers of bright green chloroplasts in ridges hidden from view beneath the parapodial flaps. According Jensen, it is never found in close association with any particular alga, indeed its natural food is unknown. It will feed on Chlorodesmis sp (Udoteaceae) and Udotea sp (Udoteaceae) in the laboratory. 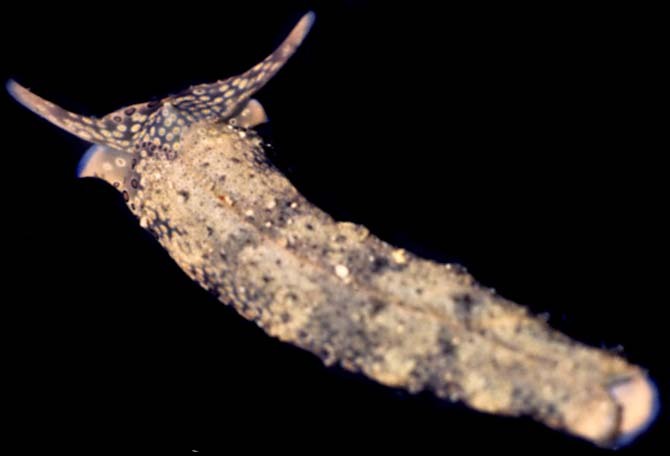 - The long and thin rhinophores extend horizontally from the sides of the head. 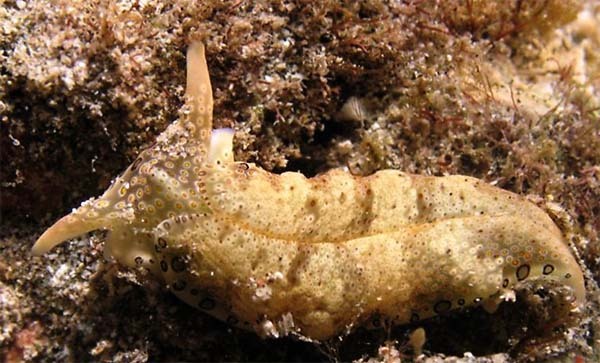 - The rhinophores are creamish and their tips are sometimes mauve. Réunion, flat reef of l'hermitage, Saint Gilles, less 1 m, 18 May 2007. 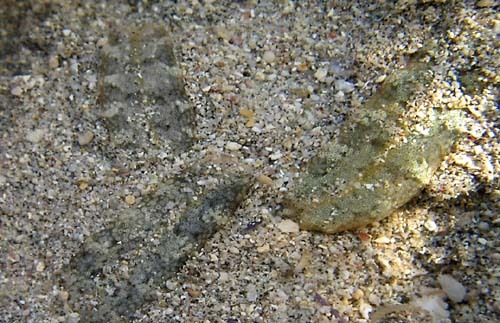 Several specimens find in little sandy area on the flat reef. 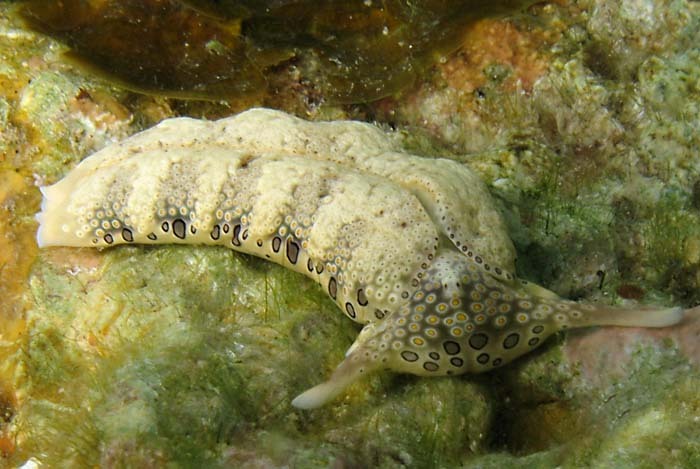 Tsoha at Mayotte, crawling on the reef flat zone, less 1 m, 31 July 2008, size 20 mm. 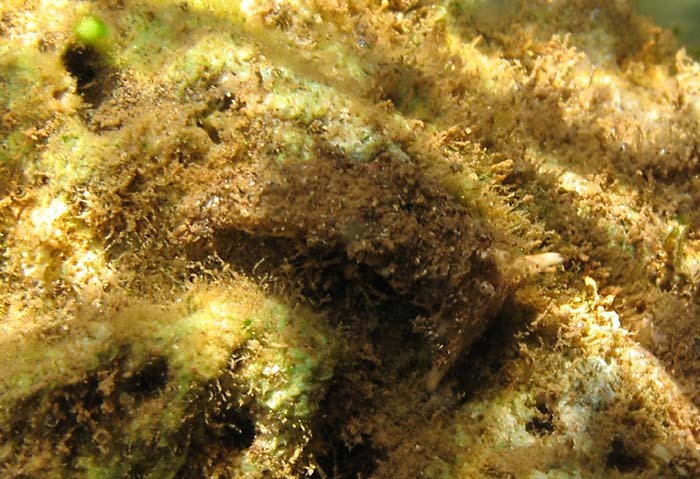 They keep the chloroplasts from the algae alive in their own bodies, where they continue to photosynthesize. It stores huge numbers of bright green chloroplasts in ridges hidden from view beneath the parapodial flaps. It stores huge numbers of bright green chloroplasts in ridges (a) hidden from view beneath the parapodial flaps. Mayotte, Mtsanga Tanaraki, crawling on the reef flat zone, less 1 m, 25 July 2010, size 15-20 mm. Mayotte, Mtsanga Tanaraki, on the reef flat zone, less 1 m, 25 July 2010, size 15 mm. A well camouflated specimen isn't it?? ?